Style and function combine in this precision-built DJ stand. 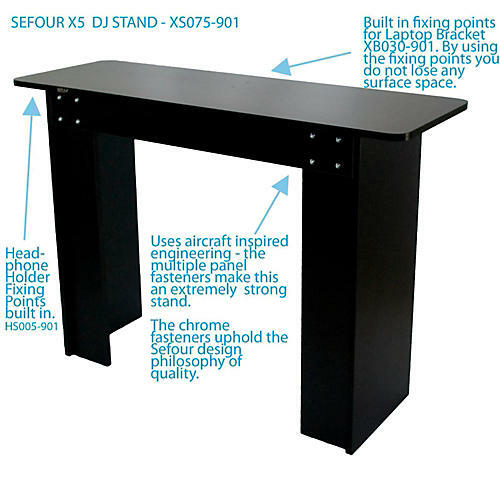 The Sefour X5 DJ stand is a simple design with precision manufacturing. The team at Sefour used the same design principle used in aircraft wing manufacturing, so you know the X5 is both sleek and strong, ready to perform all night. Suitable for a full set up of two CDJ players and a 19 mixer, two turntables and 15 mixer, or an all-in-one controller, the X5 is a perfect fit for any stage and stands up just as well at home.